This weekend, Greenville will once again host national championship races for USA Cycling. 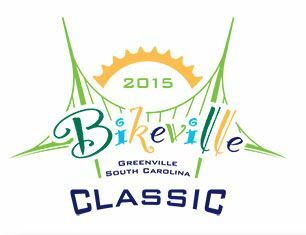 The 2015 Bikeville Classic will be held on Saturday and Sunday, April 18 and 19. There are a number of racing events for pros and amateurs alike, in several categories. On Saturday afternoon, the Pro Championships will feature professional racers from around the nation to compete for the Stars and Stripes Jersey. The course is a block of downtown streets in the West End, including Main Street from Falls Park to Wardlaw. The race will take place on the Southern Connector (I-185), which will be closed to traffic during the race. Amateur and professional teams alike will compete for national awards for completing the course in the fastest time possible. If you’ve ever wondered what it would be like to ride on an interstate, here’s your chance! A large section of I-185 will be closed to traffic on Sunday morning, allowing cyclists of all levels to ride and enjoy. If this sounds like a cycling adventure for you, be sure to visit the official Bikeville 2015 website for more information and to register. And if you’d just like to come and watch the events from the sidelines, there are plenty of events and even giveaways (including free waffles and free children’s helmets) to participate in. Don’t miss this exciting cycling event!